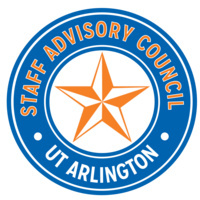 Staff Advisory Council (SAC) is the representative body for UTA's staff members. We strive to improve campus culture, benefits for staff, and overall Maverick Spirit. Join us for our monthly general body meetings as we bring guest speakers to discuss new programs or campus initiatives of interest to staff. Following guest speakers and agenda items, SAC members will break up into committees to discuss ongoing projects or future plans.